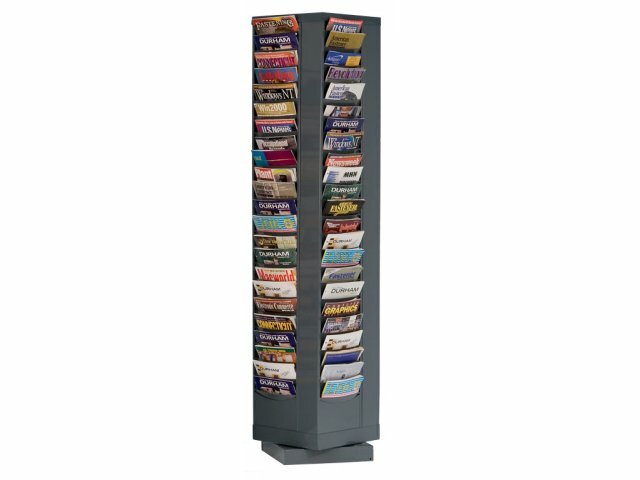 The Durham Space-Saver Carousel Literature Organizer makes it easy for you and your visitors to browse through a large number of magazines quickly and conveniently.  Featuring an exclusive design which eliminates paper curl, your magazines will be kept in prime condition. 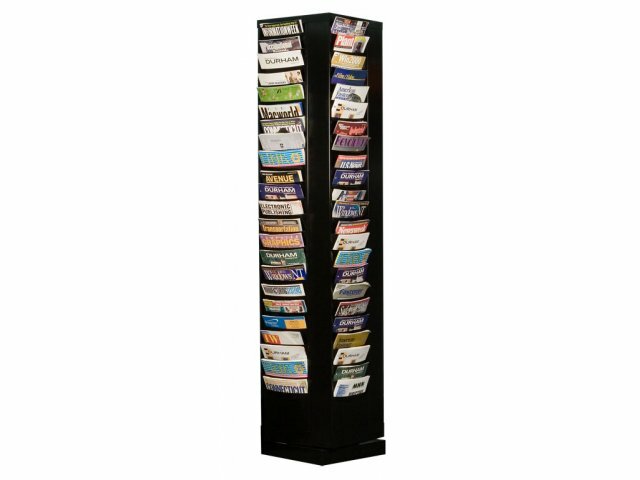 The literature organizer rotates smoothly on a matching steel base with ball bearing turntables, making all material easily accessible. 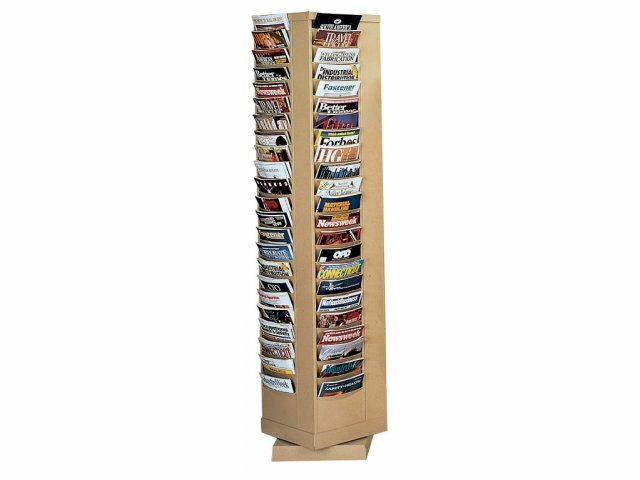 Constructed of prime steel with a rust and acid resistant powder coat paint finish, this foursided revolving magazine rack will be an asset to any office. Strong and Sturdy: Prime cold rolled steel construction with a steady base design. 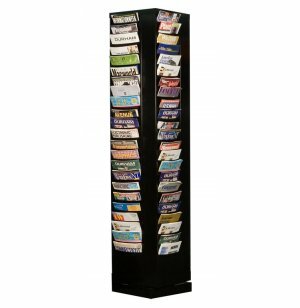 Easily Accessible: Revolving racks makes it easy to access every section. Exclusive Design: Totally eliminates paper curl, ensuring a pleasant read.